Hi dear readers! 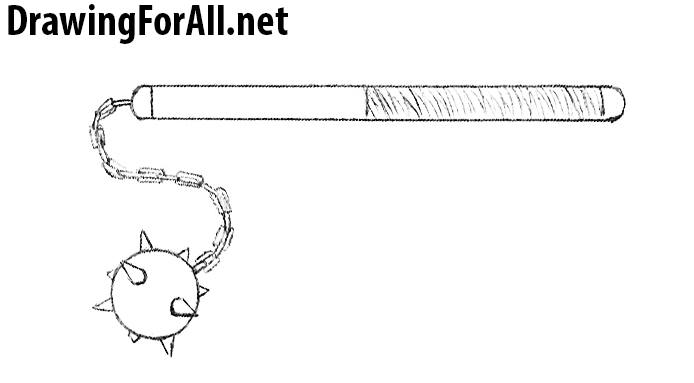 Today we present you a new tutorial on how to draw a flail. 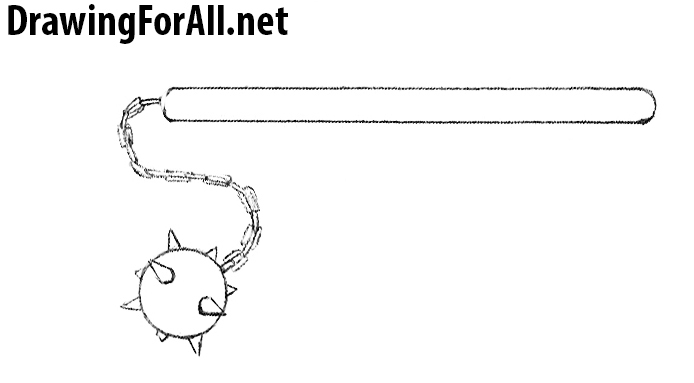 Flail is a flexible-jointed melee weapon of shock-shattering action. 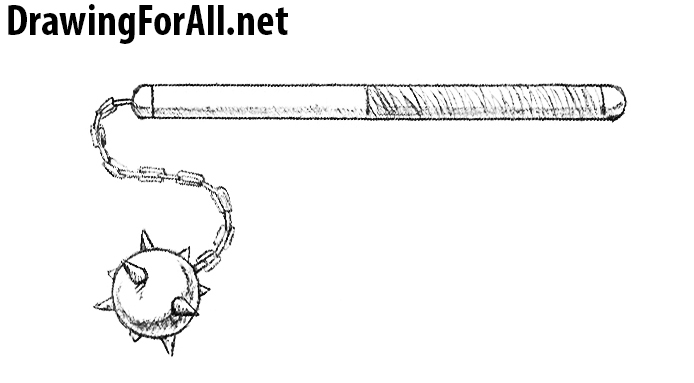 It represents a shock load (made of bone, metal or stone), connected by a suspension (chain, strap or strong rope) with a wooden handle – shaft. 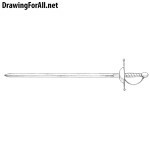 First draw the shaft of the flail in the form of a long figure. We have drawn a long enough shaft, but it is can be much shorter than in our example. Next draw a curved junction and the load itself, which in our example looks like a ball, but it can be of any other shape. 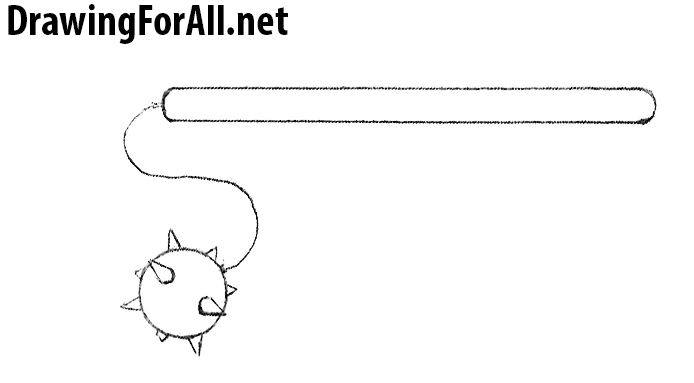 Draw spikes that look in different directions. 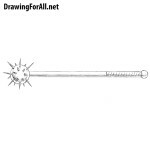 The load of the flail in our example is very similar to the head of the morning star. Draw a chain instead of the line from the second stage. But as we said here can be not only a chain but also a strong rope or strap. 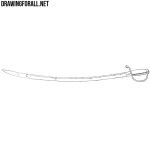 To ensure that the flail not slip out of hands it’s grip must be wrapped with leather, fabric or other material that will guarantee a strong grip. 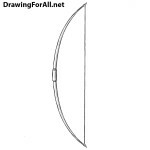 Draw the wrap using short lines. 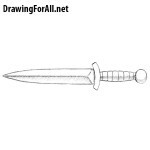 If we imagine that the light falls from above then we will need to put shadows on the bottom of the handle and load using hatching. 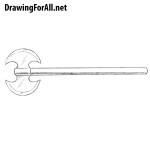 So we learned how to draw a flail. The lesson was simple enough as was the weapon itself which was widespread both among professional soldiers and among civilians. This spread is explained by the fact that these weapons are much more effective to fight against knights armored in plate armor unlike the sword.